Making a move? 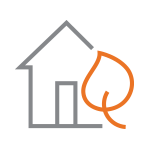 Transfer your natural gas service with Spire online. Are you moving, but you still want to enjoy great natural gas service from Spire? No problem, fill this form to transfer your service. Explore ways to contact customer service at Spire, your natural gas company. No matter where you are, you can count on the same high level of service with Spire. Here you can find a map outlining the coverage of our natural gas network. Making a move? We’re here to help. Find all the information you may need when starting, stopping, transferring or reconnecting your Spire natural gas service.